During that time we ran the concession stand for the program, ran the score clock for the games, did the scorebook for the games, and reffed the in-house basketball games. St. Joachim is the CYO program in our city. They usually have to pay people to do all these jobs, to ensure that they get done. 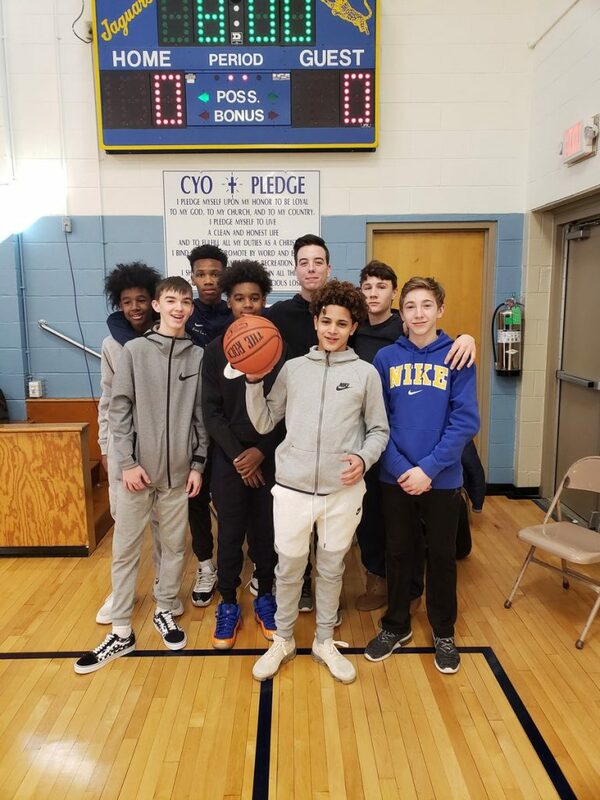 By our players coming down and giving their time on Saturday, they saved the program well over $150 that can now go back to the program and the youth that it serves. When I floated the idea to the players they were all in. It was great to see them so excited and engaged not just at their jobs but talking to the young players before and after their games. We hope to do one more community service project before our regular season ends, and then look forward to more projects in the off-season, including help to repair one of the elementary school basketball courts once the weather improves in the spring.